Request quote for cheap flight -our travel agents are itching to show you the best deal. After many years of compiling weekly flights surveys, we've realised that people are always looking to bring the cost of travel down! One of the easiest ways to do just that is by booking cheaper flights.This can easily free up a third of your holiday budget! When an airline has a frequent flyer programmes, make sure you sign up for them and don't forget that you can usually claim missing miles up to 3 months after your departure date (depending on the airline). Try to book all your flights on a single airline or if that isn't possible, look for airline alliances and groups that allow you to earn and redeem on multiple airlines. A good example is the Star Alliance, which includes SAA, Lufthansa, Ethiopian Airways and Turkish Airways. Domestically you're looking at the relationships between British Airways Comair and Kulula or SAA and Mango. You can use your SAA Voyager miles to discount both Mango and SAA flights. If you want a credit card it is worth comparing reward options and added extras. Visa and MasterCards are usually the best options for frequent international travellers as they are widely accepted, but you don't have to only look at what banks offer. Good alternatives to consider includes the Kulula credit card which is especially useful if you frequently travel domestically and the Discovery Credit Card caters for both domestic and international travellers. 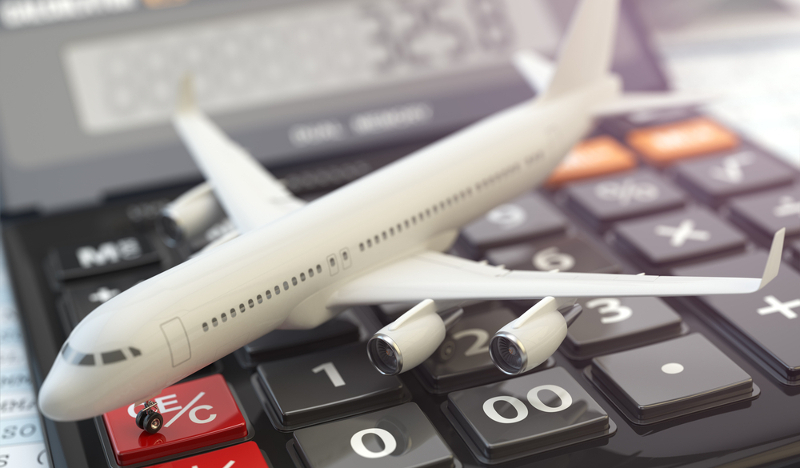 Just keep an eye on interest rates as you could end up paying nearly double for your flights! Consider all airlines, even the lesser known African airlines. Most of them are still trying to establish themselves. Airlines like RwandAir and Ethiopian Airways offer great value for money and frequently run unbeatable airline specials. Think of them like you did of Emirates fifteen years ago! Don't let safety concerns prevent you from taking advantage of these deals as airports are generally some of the safest areas in Africa. Just keep an eye on travel times and consider the added cost of lounge access should you have long layovers at smaller airports that don't offer much entertainment. Don't assume low-cost carriers are always the cheapest! Always make use of a search engine that compares flight prices from both budget carriers (Mango & Kulula) and full service carriers (British Airways, SA Express, SA Airlink & SAA). Make sure the results are sorted so that the cheapest options are listed at the top. Sometimes the results might surprise you! Don't forget to check the what is included in the cheapest flight option! Domestically FlySafair flights exclude checked bags and will cost an addional R150 to add per way. Internationally, airlines like Virgin Atlantic have introduced a cheaper flight that also excludes checked bags. Adding a bag afterwards often works our more expensive than simply booking a flight that included it from the start. The flights booking engine on the left hand side of this page makes it easy to compare flight prices on all airlines and check what is included. So how far in advance should you book? Generally speaking, airlines sell their cheapest tickets first. So theoretically you should book as far in advance as possible. The golden rule isn't much fun, but you should book flights the moment you find a flight price you're comfortable with. The further in advance you're booking, the greater the chance is you're booking the airline's cheapest flight tickets. As with all good rules though, there are a million exceptions. Airlines subscribe to a dynamic pricing system so if tickets are not selling as predicted, they sometimes drop their prices. This can usually be witnessed the closer you get to travel dates, depending on availability. Sometimes the reverse happens if the demand exceeds the availability, so it really is a risky game to play. If you're willing to wait for special deals, airline sales or last-minute deals they are usually released about 10 to 4 weeks before your planned departure date. Keep track of the petrol price or the Rand price of oil - depending on airlines' pricing power, these might filter through into prices. So if there's been sharp falls in Rand oil prices in the last week, you may want to delay your purchase a bit, but if there's been a sharp increase in the Rand price of oil you may want to accelerate the purchase of your ticket. A good way to determine whether a flight price is reasonable is by comparing current airline prices to what they've historically been. If current airfares are lower than they have been historically, it's less likely that they'll drop a lot going forward. Moving on to when you choose to travel, the general rule is to look at mid-week flights. We'll expand on this in another step but what about those anomalies? Flights on Friday the 13th are sometimes cheaper, but maybe not for you if you're superstitious. In December, flights on the 25th and the 31st are often cheaper and if you don't want to party into the new year flights on the 1st of January can also be a steal. If possible be flexible with your travel dates. For domestic flights Saturday afternoon travel is generally cheaper. For international flights leaving South Africa on Sundays to Thursdays and returning Tuesday to Thursday is generally cheaper. Avoid travelling on Fridays, Sunday evenings, on the days before public holidays, and before the start or at the end of school holidays. In addition to this you also need to keep an eye out for local events, e.g. flying to Cape Town just before the Argus Cycle tour is expensive! August is generally a cheap month for domestic travel in South Africa. If you're travelling internationally, summer and Christmas is usually considered peak travel periods and more expensive. When booking domestic flights with Kulula or Mango, you can and should use their facility to search for 1-month low rates or consult our monthly surveys. This will help you find the cheapest dates to travel each month, which is especially helpful if you are very flexible. Booking domestic flights is easy, it doesn't really make a price difference whether you're booking one-way or return flights. Our flights search engine allows you to pick and choose different airlines for your outbound and return flights, allowing you to take advantage of the best flight prices irrespective of whether you're searching for one-way or return flights. The same can not be said for international flights! When booking an international flight, book your outbound and return flights on one ticket as it almost always works out cheaper. Booking an outbound and return international flight seperately could easily double your cost! Even if you are unsure about your return date, you could still save by booking a flexible ticket that allows for free or cheaper changes. When flying to Johannesburg or from it, check prices to/from both Johannesburg Lanseria (HLA) and Johannesburg O.R. Tambo International Airport (JNB). Similarly when travelling internationally to cities like New York, London, Paris and Turkey you can make use of the "All airports" option to find the cheapest flight to all available airports. When booking international flights from Cape Town and Durban, it is worth keeping in mind that there are more airlines flying into and from Johannesburg. It could work out cheaper to book international flights departing from and returning to Johannesburg and then simply adding a domestic flight. If you do choose that option, you want to leave more than enough time for flight delays and cancellations as you are taking on all the risk and liability for missed flights yourself. The more time you can give yourself, the better! Subscribe to the SouthAfrica.TO mailing list - this will alert you to flight specials, and give you a feel for prices. "Like" the SouthAfricaTO Facebook site, follow South Africa Travel Online on Google/+ and @southafricaTO on Twitter. This way you can be the first to see when we share amazing flight deals. Make sure you sign up to all your favourite airline's newsletters so that you can be the first to know about any exclusive specials they are running. Airline's don't always open up their best specials to all travel agents. Where airlines have codeshare arrangements (i.e. they sell tickets on each other's flights) check the prices on all the airlines' websites. For example, SAA sells Qantas Airline tickets for flights from Johannesburg to Sydney - check both the SAA site as well as the Qantas site (the prices are not always the same). Also, Kulula sells British Airways flights on their website, sometimes at a cheaper price than you can book the flights on the British Airways site (you can tell that it's a British Airways flight if the flight number has 4 numbers in it, e.g. MN6313) - we've seen situations where over R1000 can be saved on BA flights by booking them on Kulula's website. We've also seen it happen the other way round, where flights are cheaper on the BA website than on the Kulula website. Direct non-stop flights are the most convenient, which means it comes at a premium. Sure you are taking a small risk with each stop-over as bad weather and flight delays might cost you a connecting flight, but as long as you stick to airlines you trust and make use of a good travel insurance your risk should be covered. One-stop flights are usually much cheaper than direct options. After Nationwide's liquidation (& more recently Velvet Sky & 1time) many passengers were stuck with tickets they couldn't use. To reduce this risk, especially when booking with a lesser known airline, always purchase your airline tickets with a credit card. Most provide a safeguard so that if a supplier fails to deliver, you can turn to your card issuer for a refund. You will have to pay off the full amount within the first month though, before the interest rate kicks in. Don't forget to issue your free travel insurance that most credit card providers offer when purchasing flights and paying with the card! These policies are there for the taking, but they need to be issued before travel commences otherwise you don't enjoy coverage. Each bank's policy differs, but most will offer standard travel insurance for tickets purchased for the card holder and close family members. If the policy doesn't provide sufficient coverage it can usually be "topped-up" at a small additional fee. Travel insurance could potentially save you hundreds of rands on international flights should you need to cut a holiday short for medical reasons or any other situation covered by that specific policy. When needing to change a booking, check what the costs are of doing it on the internet versus doing it telephonically. It's usually cheaper to make changes on the internet. We have not seen any evidence of airlines differentiating pricing based on online behaviour, but it is theoretically possible. If you want to be ultra safe, delete the cookies on your computer before booking a flight, and use a private/incognito window. Don't forget to use your loyalty discounts. Edgars' Thank U Account Card offers you up to 25% off Mango flights. On international Emirates flights you can get up to 30% off Emirates flights when using your Smart Shopper card to unlock the discount with Pick n Pay's travel partner. You have to pay to enjoy the benefits offered by Discovery Vitality, but you can save on a limited number of international and domestic flights each year. Use the pay later option as a "hedge-bet". It gives you 24-48 hours to look for a better rate and eliminates post purchase dissonance if an airline decides to run a special. British Airways recently launched a new option to hold international bookings for up to three days, or 72 hours to be precise. All you have to do is pay a small deposit of £10 (R180) which will be refunded if you book the flights within the 72-hours time limit. This is a great way to hold a flight and see whether any cheaper flights become available during that time and other airlines will surely follow suit! Earn travel vouchers to discount your flights with (or even travel for free if you earn enough!) You earn travel vouchers by emailing us a writeup and photos of your flight and trip (the more you give us, the more we give you!). Take part in airline competitions - you've got a better chance of winning than when you enter the lottery. If you're really desperate for a cheap flight, then date a pilot or flight attendant! Or better yet get a job as one - they have loads of flight perks. It is not all about the cost, being comfortable is just as important! This is especially true if you're cramming yourself into the sardine tin for a long-haul international flight. Below we share our tips to securing the best seat. Choose your airline carefully! Traditionally low-cost carriers are viewed as offering less comfortable seats. Whilst they do often cram in more seats resulting in less leg room, a more accurate way to determine seat comfort would be to find out how old their seats are. New innovations means that even a small, low-cost seat can be very comfortable! This is why airline reviews are so valuable. Once you've chosen your airline the next challenge is to get the most convenient seat. Most airlines charge for advance seating, so if you're set in booking your lucky seat you will likely have to pay up. If you'd rather spare some cost, you can wait for online check-in to open and select a seat for free. This usually happens 48 - 24 hours before departure, but double check on your airline's website as it can be different. Snap up your favourite seats as soon as possible! Don't dilly dally when looking at the seat chart as availability is constantly changing. Lock in your chosen seats as soon as possible! What happens if you try to check in online, but there aren't any free seats available that tickle your fancy? Airlines allocate a specific seat to each passenger long before they log in to check-in, so if you wait a while you might find those seats already allocated become available if those passengers make seat changes. You're basically playing an online game of musical chairs everytime you reload the seatmap! Similarly if an aircraft is very full, charges on some special seats might be removed as those become the only available. There is some risk attached to this, so don't wait too long. So how do you find the perfect seat? Skyscanner is a great resource that all travellers should utelise. In a previous survey seat 6A came out top, as it was close enough to the front of the aircraft to allow for a quick exit and early food service, but not too close to the toilet. Personal preferences come into play though. Window seats obviously offer a great view, but it can be a pain if you're constantly having to get up. It is a great option for solo travellers though as the added space and privacy on one side can be invaluable. Aisle seats are a catch-22 as they do offer a solution for those longer limbed among us, but the last thing you want is for the drinks trolley to be jammed into your knee. So perhaps it is best if you're shorter and like getting up frequently. The middle seat is, as everyone know, the only option that is available when you don't check-in online. It is often used by couples travelling in pairs of two or three. Although you can take a risk and book an aisle and window seat to the back of the plane, hoping that the middle seat stays open. It is usually easy enough to offer the third passenger the aisle or window seat if luck isn't on your side. The back of the aircraft is usually sandwidched between two loos, not ideal if your flight departs from Delhi! But as it is the least desired seats, it often is also usually the quietest part of the aircraft. Worth taking the risk? It is up to you! Maybe if you can seat yourself furthest away from the toilets. The middle of the aircraft is usually around the wing and supposedly the best spot during turbulance. Unfortunately it seems the secret is out and many choose to seat themselves in this rather large, noisy part of the plane. The front of the aircraft, right behind business class, is usually where you'll find the bassinets and crying babies. It is also closest to the only guaranteed exit, so is best if you have to make a quick connection. Eventhough most airlines have two exits, they don't always open both for boarding and disembarking. Emergency exit seats are the most in demand for lengthier passengers as there is nothing limiting your leg room. Do note though that these passengers have no under-seat storage and can only make use of the overhead lockers. A small price to pay if you qualify though! Note that the Civil Aviation Authority wont allow the following people to sit at the emergency exit row: (1) those who cannot follow & execute instructions in english, (2) those passengers who are largely deaf / blind, (3) kids who are under the age of twelve, including infants, and (4) those who are travelling with another person who would need assistance in the event of an emergency. And NEVER take a seat in front of the emergency exit row as those seats usually can't recline! If you find you're unable to seat yourself next to your travel partner, try to secure aisle or window seats close to each other as that will make it easier to swap. It is a hard sell on a middle seat. You can also ask a air steward to assist you in this matter. Know the luggage limits, check your baggage allowance on your ticket and the airline's website and always weigh your bags before you leave for the airport. The last thing you want is to air your dirty laundry - literally! If you're overweight (don't worry, we're only talking luggage!) then you might want to consider redistributing items between your hand luggage and checked bags. Better yet if you're travelling with a partner! You could also place some heavier items in your pockets, but be aware that most airlines also weigh your handluggage and that you can't have any forbidden items on you. A gent on a China to Kenya flight took this tip to the next degree, wearing 70 items of clothing and looking like a sumo wrestler, to avoid extra baggage charges! If you're still be overweight remember that it's sometimes cheaper to buy coupons for extra luggage online when you book your ticket, rather than at the airport. If you are traveling with somebody, pack half of your belongings in your travel case, and place the other half in your companion's luggage. In case one person's luggage is delayed, you will both have access to some of your essential items. Also always include a fresh outfit in your hand luggage to prevent you having to wear your clothes inside out should your bags be delayed! Then put all your shoes & other heavy items at the base of the suitcase near its wheels. Choose clothing that doesn't require ironing. Roll your clothes rather than folding them - trousers are rolled from the bottom up, and collars should be up & in. This prevents excessive creasing, but we're not convinced that it saves space. If you are worried about creasing, pack a spare hanger and steam your clothing in the shower after a particularly hot one. It might not resemble a freshly pressed shirt, but in a pinch does a better job than doing nothing! Use packing cubes to keep everything tidy and easy to find. This is especially valuable if you're moving around quite often and living out of your suitcase. Ensure that all liquids, and everything that can turn into liquid (we're looking at you chocolate! ), is also placed in a plastic bag before it goes into your bag. No-one wants to deal with the mess of an exploded shampoo! Secure your electronics like chargers and hairstyling tools in between soft layers of clothing, or better yet, wrap it in a towel for extra padding. 10 tips for surviving a plane crash.